Each year, United Way of Central Illinois invests millions of dollars in local services working to meet the needs of our community. Our focus is on protecting services vital to the immediate Basic Needs of the most vulnerable members of our community; while making long-term investments in Education, Financial Stability and Health, because these are the building blocks for a good quality of life. 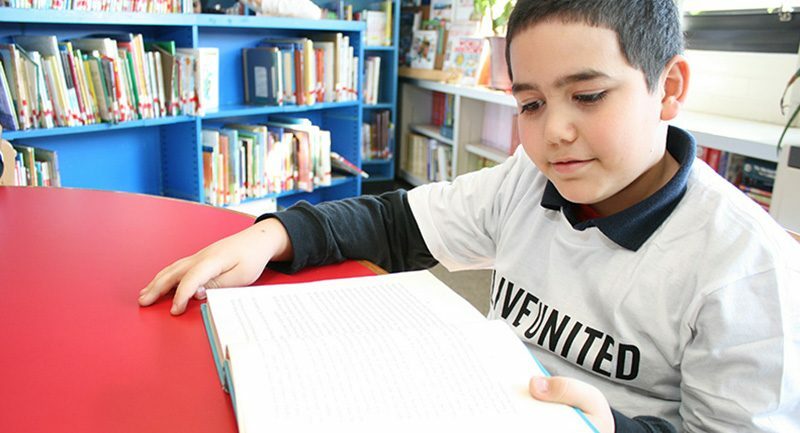 Below you will find current investments made through United Way’s Community Fund. Additional programs and funding can be found at the links below. Effective July 1, 2015, applications for community funds are no longer restricted to member agencies. Programs interested in applying for Community Funds should call the Director of Community Impact at 217-726-7000. United Way supports emergency services vital to the basic needs (food and shelter) of the most vulnerable members of our community. These services, which include services for victims of violence and distaster, stabilize families so that they may begin building a good quality of life. You can learn more about Basic Needs priorities and strategies here. Contact Ministries and Helping Hands of Springfield, Inc.
Education, financial stability and health are the building blocks for a good life. Education is essential to getting and keeping a job with a livable wage and health benefits. An income adequate to pay for today’s necessities and save for the future provides families some sense of financial stability. Access to quality health care keeps children on track in school and adults productive at work. Remove any one of these building blocks and the other two topple. 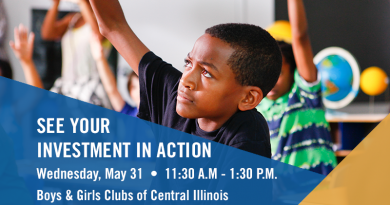 Helping children learn, achieve and succeed while engaging families and caregivers. You can learn more about Education priorities and strategies here. Providing individuals and families the education, skills and supports needed to lead financially stable lives. You can learn more about Financial Stability priorities and strategies here. Helping Hands of Springfield, Inc.
Activating and inspiring our community to get healthy and stay healthy. You can learn more about Health priorities and strategies here. Provides $15,000 of funding to the Homeless Management Information System administered by M.E.R.C.Y. Communities. Provides $24,000 of funding to Disaster Services provided by the South Central Illinois Chapter of the American Red Cross. Community Fund – United Way’s Community Fund is supported by they United Way Annual Campaign and is the primary way United Way invests in local programs aligned with community priorities and strategies in the issue areas of basic needs, education, financial stability and health. Red Feather Grant – Red Feather Grants provide funding to programs which benefit multiple other programs and/or the community but do not qualify for funding under the current priorities and strategies set forth by United Way’s Vision Councils. To learn more about Red Feather Grant funding opportunities, please contact the Director of Community Impact at 217.726.7000. Venture Fund – United Way’s Venture Fund provides one-time funding for health and human service projects created to enhance the quality of life in Sangamon and Menard Counties. Eligible projects must be aligned with one or more of United Way’s issue areas of basic needs, education, financial stability, or health. Emergency Fund – United Way of Central Illinois’ Emergency Fund provides additional funding to local nonprofit agencies during times of crisis. The fund was established to provide a safety net to community agencies to protect daily operations and vital services. Emergency Food & Shelter Program – The Emergency Food and Shelter Program was created by Congress to help meet the needs of hungry and homeless people throughout the United States and its territories by allocating federal funds for the provision of food and shelter. United Way of Central Illinois serves as the convener of the local EFSP board. Familywize Free Prescription Drug Card – United Way partners with Familywize to provide a free prescription drug discount card to the community. Individuals can save up to 30% on their prescriptions, and since launching the program more than 8,000 residents in our region have signed up for the card. MyFreeTaxes.com – The MyFreeTaxes Partnership provides free state and federal tax preparation and filing assistance for qualified individuals. It’s easy, safe, secure and 100 percent free. My Smart Money – My Smart Money™ is a free and easy online tool that can help anyone get their financial house in order.